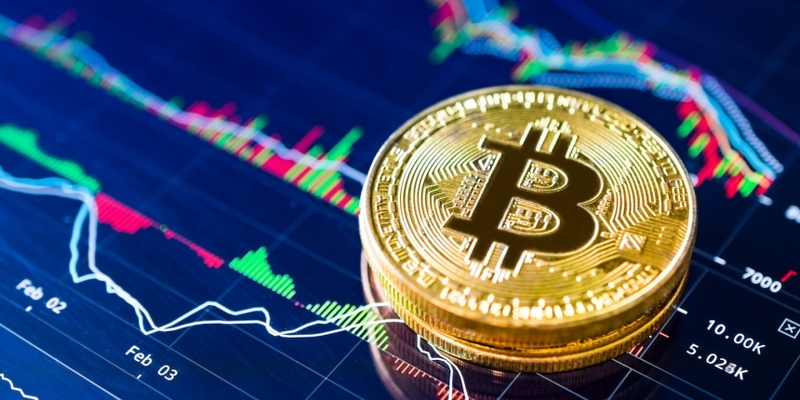 Bitcoin (BTC) has been trading sideways in a narrow range over the last week, but a drop toward $8,000 may be on the way, the technical studies indicate. As of writing, BTC is changing hands at $8,346 on Bitfinex. Meanwhile, CoinDesk’s Bitcoin Price Index (BPI), which represents the average of BTC prices on the world’s leading exchanges, is seen at $8,306 – little changed from the previous day’s close (as per UTC) of $8,380. The cryptocurrency peeped above the $9,000 mark on March 20, according to Bitfinex data, but resistance at $9,200 has proved a tough nut to crack. Meanwhile, bearish chart signals suggest a drop in prices is likely, though the 4-hour 50-MA has likely capped the downside around $8,200. The chart above shows that bitcoin has had a hard time holding on to gains above $8,943 (38.2 percent Fibonacci retracement), and there are mixed indicators for what might happen next. The relative strength index (RSI) has breached the descending triangle to the downside, signaling the BTC will likely see a downside break of the trading range. On the other hand, the 50-MA has bottomed out and looks set to cut the 100-MA from below (bullish crossover). The crossover will likely happen in the next few hours if BTC moves above $8,700, thus possibly opening the doors for an upside break of the trading range. The descending 5-week moving average resistance is seen at $9,210. The 50-day moving average resistance is seen at $9,392. The descending 10-week moving average is lined up at $9,411. So, on the higher side, only a daily close (as per UTC) above $9,470 would allow a stronger rally to $10,200. Meanwhile, on the downside, acceptance below $8,200 could embolden the bears and could yield a sell-off to $7,240 (March 18 low). On the weekly chart, the bears remain in control – as suggested by the bearish outside-week and negative follow-through, and the descending 5-week MA and 10-week MA. Furthermore, last week’s candle has a long upper shadow, indicating a stronger potential for prices to drop. BTC seems most likely to take out support at $8,200 and re-test $7,240 (recent low) this week. The weekly chart favors a drop to $6,600 (weekly 50-MA). Intraday bullish scenario: A move above $8,550 (4-hour 50-MA) could yield a re-test of $9,177 (March 21 high) and $9,200. Only a clear break above $9,470 would signal a bullish break and open doors for $10,200.